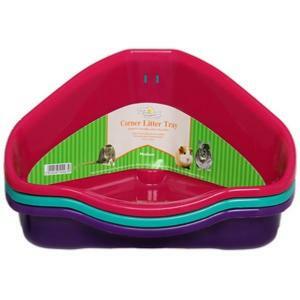 This Walter Harrison Medium Corner Litter Tray is suitable for Chinchillas, Guinea Pigs and Rats. It's high corners help to prevent spillage. Stain and odour resistant plastic. Easy to clean. 34cm.